OPSM has announced a partnership with Flybuys and wellness community I Quit Sugar to promote nutrition’s role in eye health. The partnership is part of OPSM’s ‘Eye Am Healthy’ preventative health educational campaign, which kicks off today. Flybuys members will receive one Flybuys point for every $1 spent at OPSM and triple points for every dollar spent on spinach or kale at Coles. A launch offer until 5 October will reward customers with five Flybuys points for every $1 spent on products at OPSM. Health and wellness online community I Quit Sugar, founded by former Cosmopolitan editor Sarah Wilson, will over the next four months offer up-to-date preventative eye health information including recipes containing spinach or kale. OPSM stores across the country will also stock these recipes. 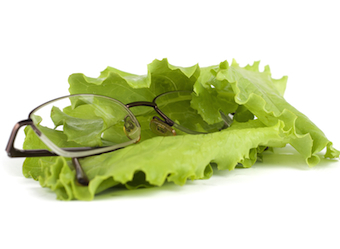 OPSM senior optometrist Giuliana Baggoley explained that leafy greens contain nutrients to improve eye health, and may help prevent and combat common eye diseases including macular degeneration and glaucoma. OPSM vice president of marketing Melinda Spencer said the partnership would reward customers for “making the right decisions for their eye health needs”. I Quit Sugar’s Sarah Wilson will launch the partnership at the new OPSM Macquarie Centre store in Sydney today.